Q&A with Sanna Bedford, co-founder and store manager of Cousin Jacks, Australia’s First (and Best!) Authentic Cornish Pasty Shop. If many a hospitality success story is born from a love of food, then Cousin Jacks Pasty Co. is all heart. Founded in 2010 from a serious hankering for a traditional cornish pasty, what started out as as a small market stall is today a much-loved stop for hungry locals and visitors alike in busy Bondi Junction. As part of our ongoing Behind the Kounta series, we spoke to Sanna Bedford about the story behind starting Australia’s first traditional Cornish pasty shop with husband Mark, and what they’ve both learned on their path to success over the years. So, how did Cousin Jacks start? Mark and I were visiting the UK and one afternoon we were sitting in his parents’ kitchen enjoying a traditional local pasty. Mark said “these would do so well in Australia if they were done properly like they are here!”, and that was the moment the idea was born. When we got back to Sydney, we threw around the idea of starting a little pasty shop and, within a matter of weeks, made the decision to test the product at our local weekend market. The rest as they say, is history! What did you learn from selling at the local market? As it turns out, starting at the market stall first was a great move because it gave us direct access to people who were more than happy to talk to us about our product, and that helped a lot with the research we needed to conduct. We specifically wanted to find out a few things: firstly, whether Australians would buy Cornish pasties; secondly, what recipes would work well in this market; and finally, what we should charge. To our delight, we found that Australians are big fans of pasties so we had a product that was in demand and could quickly move on to testing different recipes. We started by making two different types every week and observed what people thought. Pretty soon, it became pretty obvious which ones were received well and which ones weren’t, and once we had a shortlist of the most popular pasties, we made two different ones of each variant and perfected our final recipes that way. One thing we weren’t sure of at first was price. Pasties are a takeaway food, but ours are handmade and more gourmet than your typical over-the-counter snack. We wanted to know what people thought was a reasonable price, and Mark had read about this idea of asking the public to ‘pay what you think it’s worth’ from Jamie Oliver. So the first time at the markets we decided to run the stall with no prices and asked people to pay what they thought was fair for what they got. The overall price was around $6.50, which is what we have stuck with to this day. Being new to hospitality, what did you and Mark do to get up to speed? Mark was an IT contractor and I was in sales prior to starting Cousin Jacks. I always had a keen interest in food which helped but nonetheless, it was still very different to anything we’d done before. We started with our individual strengths – I’m more of a generalist with a market focus and Mark is more of a perfectionist with a systematic, process-oriented approach to things – so I made the fillings and Mark made the pastry. He knew how important it was to get the pastry right, so he learned by working one day a week for free in an award-winning pie shop in St. Leonards. The rest we picked up as we went! Once we’d decided to give Cousin Jacks Pasty Co. a try, we bought two portable pie ovens and a pie warmer. We both still worked full-time, so on Thursday nights I would make the fillings and Mark would prepare the pastry. We’d then fill the car on the Friday night and head to the market at 7.30 on a Saturday morning. It was hard work juggling two jobs then, but we certainly had a lot of fun. Within the first couple of weeks it was easy to see the potential for growth from the responses we got from people at the market – the fact that we always sold out by midday was really encouraging! We knew that if we didn’t give it a real go then, we would always wonder how well we could have done, so we decided to put getting married and having a family on hold while we got our venue started up, and we haven’t looked back since. How did you transition from a weekend market stall to running your own high street business? Mark stopped his full-time job to focus on setting up the store and running the business. I continued working so we still had a stable income coming in if things didn’t work out. In my opinion, having a financial backup plan is really important if you want to start your own business from scratch. After a year of Mark running the store and getting all the systems in place, we swapped over. I started working full-time behind the counter and Mark went back to IT contracting. Following some advice given by others who had been there, we decided it’d be best not to work in the store together, so while I was onsite, Mark worked from home doing administrative tasks and business development. This worked really well for us as I’m good with customers and managing the staff, and Mark is better at optimising business processes, looking for ways to save costs and executing new ideas. Where do you make the most money and what marketing tactics have you found to be successful? I would say about 85 per cent of our revenue comes from takeaway and 15 per cent from dine-ins. We also sell coffee, smoothies and dessert pasties, and frozen pasties you can easily cook at home. Our biggest seller is the traditional pasty and a couple of other meat- based ones. We’ve never done any paid marketing, in fact the only marketing we regularly do is updating our Facebook page. We find that word-of-mouth is where most of our customers have come from, that and our location. We get a lot of walk-ins and make a point of telling them our story and what we have to offer. With anything we publish or have printed, we always stick firmly to our brand. For example, Mark is always writing little stories about the origin and history of the traditional pasty. The only other thing we’ve done is launch a loyalty program. We have over 1,000 email addresses in our database and occasionally send out offers to remind people we are here! What would you say the key to running a successful takeaway business is? My number one motto is ‘be true to your product’. We’ve learnt that deviating too far from our key offering hasn’t worked. I would say spend time perfecting your product, and be true to it. Second to that is our staff. Friendly staff make a huge difference to a customer’s experience. I employ friendly staff and then train them on our brand and product. There are obviously lots of other factors that help with our success; price, location etc., but these two are by far, the most important for us. Employee management is one of the biggest challenges the hospitality industry faces in my opinion. They directly represent you, but you can’t control them, they get sick, they leave, they have different personalities and you have to continuously train new ones. It’s ongoing work but it’s just the nature of the industry. All you can do is try and provide a good working environment for the employees you have and hope for the best. What’s your secret to finding and keeping good staff? We look for people on Gumtree, then conduct interviews for the applicants we get, followed by a trial period at the shop. That’s pretty standard. What we find really worked for us is to send a training pack to new staff members prior to them starting. This training pack contains key information about our business, our menu and other things we sell, as well as a video introduction to the Kounta Point of Sale system we use. It prepares our new staff for the trial period they have to go through and helps them get stuck into serving customers right away. Doing this also lets us see if they’ve done their homework before arriving, which shows how serious they are. We’ve found the good staff have been over the menu and video at least a few times before their trial. Finding the right employees (and keeping them) is probably the most challenging part of the business! We’ve found that besides pursuing a job in a different industry or going overseas, leaving to go to another hospitality venue tells means they don’t like working for you, so we do as much as we can to ensure our staff genuinely enjoy coming to work. We have a great culture and are as flexible as possible with shifts. I also allocate staff jobs according to their personalities – some people prefer working out the back and some enjoy interacting with customers. We also pay competitively. I’m happy to say that other than the backpackers that have to leave after six months or so because of their visas, we have a relatively low staff turnover for the industry we are in. Do you have any suppliers you would recommend or equipment you can’t live without? We’re really happy with all our suppliers and would recommend them all. We use EWH Food Services for small/dry goods (they offer great service), source our produce from providores at the Sydney Markets and go to The Wood Roaster for our coffee. There are quite a few tools we can’t live without! Our custom-made display warmer, UNOX ovens, dough mixer and pastry roller are essential for the pasties. The cold room is also extremely important to keep the pasties and other ingredients fresh. Our dishwasher conked out last year and although we learned we can live without it, it makes everyone very unhappy. I would say we definitely need one of those for staff morale. We’ve got some really amazing friends in the industry. The guys from Guzman Y Gomez and the CEO of Muffin Break are our go-to people for advice. They’ve been such great mentors, especially in our first year of business, and have given us very sound advice, such as which accountant and branding company to use. Also, Mark’s father used to be on the board of the SPAR retail chain which had with over 1000 stores in the UK at the time, so he has plenty of great business advice to offer all the time. He doesn’t live in Sydney so he accesses Kounta and pulls all the reports he needs off the cloud to help us out. We’re really lucky to have him. What have you tried that you wouldn’t do again? Every time we’ve ventured away from our core products we haven’t done well. For example, we trialled doing yoghurt and granola for breakfast and it didn’t work. We’re known for pasties and that’s what people come to us for. We also realised that if we sell something that customers can’t see, we don’t sell much of it. We did side salads which had to be kept in the fridge so not many people bought them. Photos definitely help to entice our customers – this is especially true with tourists or people from out of town – they get a better understanding of the product when they can see what’s inside. Have you made any mistakes that have helped you improve? We’ve made lots of little ones, mainly around recipes that didn’t sell and staff we shouldn’t have hired. With that I’ve learned to always follow my gut. Previously, I’ve have been optimistic and hopeful with staff that weren’t quite right and had some bad experiences. Our biggest mistake I think, was when we opened our Martin Place store. It started off really well and we were selling double what we were in the Bondi store. Unfortunately, the Westpac building which was next door and had 4,000 staff, relocated to Barangaroo and Kogarah and our sales plummeted so much we had to eventually close. The landlord and real estate agent we paid to find the site for us did not mention the changes ahead, and on our part we’d failed to double-check the advice we were given. We were relying on one existing nearby business for a large chunk of our sales and we’ve learned not to do that again. Have there been any market issues or opportunities that have affected your business in the last few years? Food trends have been something we’ve had to keep up with – there are definitely more vegetarians and people requesting gluten-free options today, but having said that, our sales are better than ever so it isn’t a problem. The other issue we face is competition, particularly new cafés in the area. Our pasties are unique but our coffee isn’t, and when a new café opens, people are of course excited to try their coffee. New opportunities for us include getting our liquor licence and additional outdoor seating. We have yet to start selling beer and cider, but putting some branding and advertising on our outdoor seating helped us stand out more against other business on the high street and attracted more customers in. What advice would you give other aspiring hospitality business owners? Do as much research as possible before you start. I think a lot of people go into hospitality thinking it’s all about the food, they likely have a romanticised dream, probably from watching Masterchef! Food is only part of the job. Things like managing staff and bookkeeping are just some of the activities that will take up more time than you can imagine. The reality is you spend more time running the business than enjoying the fun parts – the food side and socialising with customers. You have to be prepared to learn a lot and do a lot more than just make nice food. Also, testing your offerings out at weekend markets or some other low cost way will really give you a feel for things early on. At the very least, doing this before committing to a venue lease means you’ll have a much lower chance of losing a large security deposit in case things don’t work out. What exciting things do you have planned for the future? We’ve just been through the process of obtaining a liquor licence so we will be introducing English beers and ciders to go with the menu very soon. We’ve also just started doing pasty- making classes for kid which are going really great. Ultimately, the end goal is to have more than one store, but we have an 18-month old with us now, so it might take a while before that happens, but it’s something we’re definitely working towards in the near future. The post Behind the Kounta: How Cousin Jacks Went From Being a Local Market Stall to Award-Winning High Street Food Retailers appeared first on Kounta. Xerocon Austin is fast approaching, and with three days packed with exclusive content, networking events and a long lineup of inspiring speakers, it pays to have a plan for what you want to get out of your Xerocon experience. Allow yourself plenty of time to check out the Xerocon exhibitor space. With a bunch of great exhibitors showcasing their products and services, you don’t want to miss out on one that might be able to help you and your firm grow. Take a look at our exhibitor list and shortlist the ones you’re keen to find out more about. You’ll have plenty of time over the course of the conference to get to know them, starting with our Welcome Reception sponsored by Google Cloud on Tuesday night from 5.30pm. This is a great chance to get to know our ecosystem partners one-on-one and have all your burning questions answered, all over a drink, some live music and a bite to eat. Plus you’ll have morning, lunchtime and afternoon breaks to check them all out! Want to become a certified advisor? Or learn more about sales, apps or automation? Then take advantage of the valuable insights that Pre-Con has to offer. Each session will run from 9am to 5pm on December 5th at the Austin Convention Center. There are 5 sessions to choose from, so take your pick! With a range of experts leading each session it is not to be missed, and there are still tickets available! The Xerocon app, which is available now on your app store of choice, is your single source of information on all things Xerocon. It puts the full conference agenda at your fingertips, including speaker and exhibitor lists – as well as easy access to conference maps. You’ll also have exclusive access to tools that make it easy to: build your schedule, access a personalized timeline of engagement at the event, quickly locate others at Xerocon, give feedback and more. Xerocon is a great time for you to meet your account manager face to face, say hi, have a coffee and a good chat about how Xero can help your business grow. Just flick your account manager an email and they’ll get back to you with their availability across the two days of Xerocon. And if you don’t know their name or email address, just send a note to sales@xero.com and we’ll point you in the right direction. This year we are offering cold-pressed juices to keep you hydrated, along with a few tasty surprises. There’ll also be plenty of snacks, a hearty lunch each day and a tasty dinner to put you in good stead for a night of dancing at the Xero party. If you’re keen to check out some local eats check out Cheryl Finfrock’s blog. As the owner of Austin Bookkeeping & Consulting, Cheryl definitely has the lowdown on all the best eats in Austin. Take the opportunity to reach out to colleagues you’ve never had the chance to meet and arrange a catchup over coffee or even check out a local Austin haunt. Join us at the end of day one for a bash on Austin’s historic Rainey Street. The quirky hotspot is lined with renovated houses turned into bungalow bars, so you know the party will be held in true Xero style. The wrap party is also not to be missed, it’s the perfect opportunity to let your hair down after a busy three days. Celebrate new friends, new learnings and a new love of Austin. Xerocon gives you the perfect chance to network in person, but it’s also a good chance to get social online too. Don’t forget to share your photos, insights, learnings and fun times using the #Xerocon hashtag. 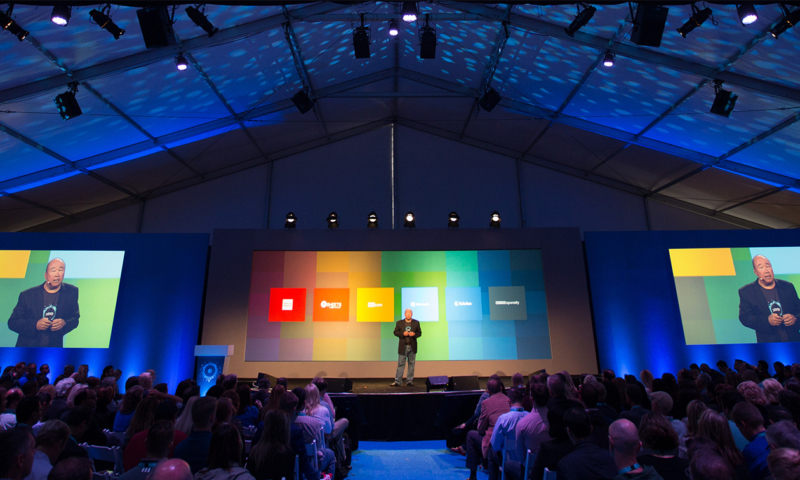 The post Insider’s Guide to Xerocon Austin appeared first on Xero Blog. The tilting balance of consumer spending to online shopping spells opportunity for businesses geared to the omnichannel. After all, nearly a half-trillion dollars flow through eCommerce channels globally every year. Meanwhile, customers still love stores, but even when you “wow” them, they’ll still reserve the option to buy from you online. Thus, competitiveness these days equates to your ability to cost-effectively move products anywhere, at any time. The omnichannel, in fact, may well be the best argument to date for adopting cloud inventory management. Read a few reasons why below. To tap the opportunity, businesses must cast a wide net. That means selling across multiple channels. However, channels mean nothing to a consumer with a mobile phone and a desktop. They just see the product and the brand, and they expect you to get their orders to them at home or in the store. That’s what the omnichannel is all about. Moreover, the most efficient and cost-effective way to manage an omnichannel is to bring your products, channels, and processes together in a single cloud inventory management solution. These days, every aspect of a multichannel business requires processes and software to run it. However, if such solutions don’t “talk to each other” to work together, a business gets bogged down by redundant, costly administration. What’s worse, if they use these siloed solutions to manage channels separately, they won’t have the data or control necessary for omnichannel fulfillment. The cloud allows for very cost-effective integration. And if the omnichannel is about seamless channel integration, then cloud inventory management that brings an entire supply chain together to form the core of your omnichannel business. The right cloud inventory management solution will give you realtime visibility of your integrated operations. When you receive an order, make a sale, or dispatch a shipment, it should let you know as it happens. Moreover, it should let you see your entire inventory altogether. Thus, you’ll know when to replenish, when to transfer and when to phase out stock. A highly-integrated cloud inventory management solution improves customer service. It should give online customers accurate available stock. Additionally, it should help you serve existing customers online and at the POS. For example, it should recognize customer loyalty regardless of the channel. And it should accommodate options for shipping to a customers’ home. A cloud inventory management solution should integrate wherever you store your products. This includes your brick-and-mortar branches, warehouses and 3PL providers. Moreover, it should allow you to transfer inventory from any of those places to any other place. Thus, it will give you the edge to get products where you need them to fulfill orders as quickly and perfectly as possible. Cloud computing puts powerful business tools in your hands. All you need is a device and an internet connection. When you bring your cloud inventory management solution wherever you go, you can easily run a pop-up store or any other temporary channel. Cloud integration only goes so far to make running your omnichannel efficient. A truly efficient inventory management solution will automate the processes that involve multiple integrations. For example, it will take orders from your eCommerce store, route to the correct branch for shipment without human intervention. We saved the last point because it’s basic to all cloud computing. The fact is, running any business 20 years ago required a heavy IT investment. That meant desktops, servers, and cable. By turning data processing and storage to a service, businesses cut the ties to physical networks. Thus, they reduced their costs and increased their flexibility. Cloud inventory management software adds similar values to running an omnichannel business. The post 7 Reasons to Adopt Cloud Inventory Management appeared first on Cin7. Yes, you say, impatiently. But what did you have to do? What should I be prepared for? But that information remains a mystery until you’ve completed the course yourself, and thus earned the right to know. 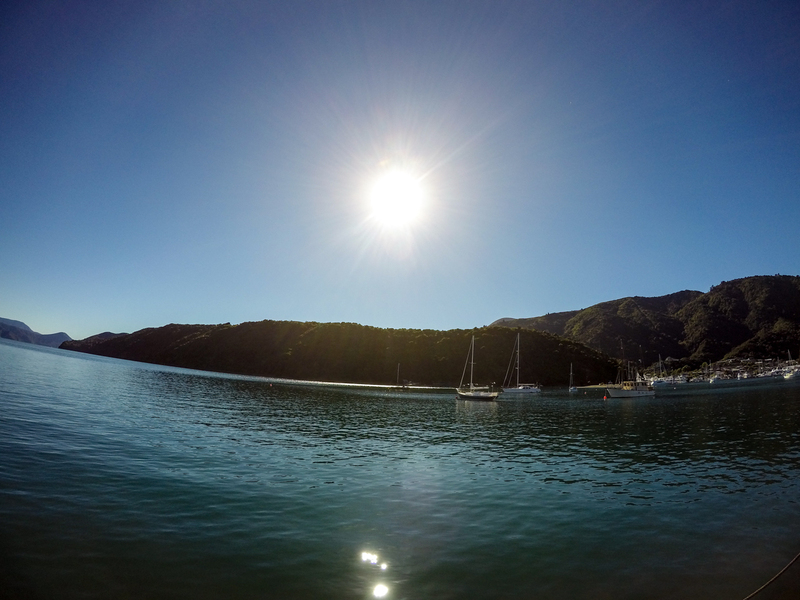 You can’t exactly pack for epiphanies… so I left Auckland with nerves jangling, for a part of New Zealand I had never explored; the Marlborough Sounds. 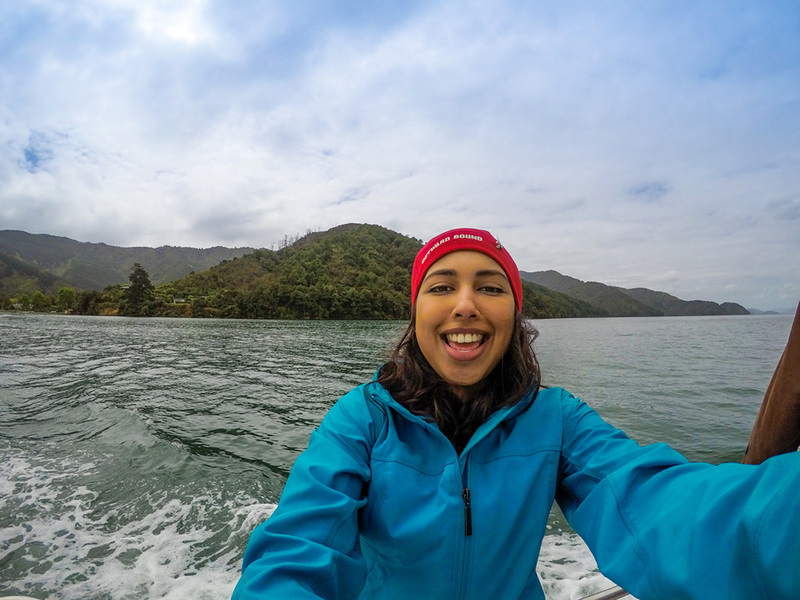 To give you a bit of context, I won the inaugural Xero Memorial Scholarship for a spot at Outward Bound Professional, a five day professional development and leadership course in the great outdoors. Taking on the challenge would be huge for me (not to mention perfectly timed for my two year Xero-versary!). I was the girl who was terrified of public speaking and spoke about her application at All Hands anyway, who loved adventure but was afraid of heights and who just wanted an opportunity to grow and inspire others. If I could do this, anyone could. 12 very different people came together in Anikiwa on November 6. 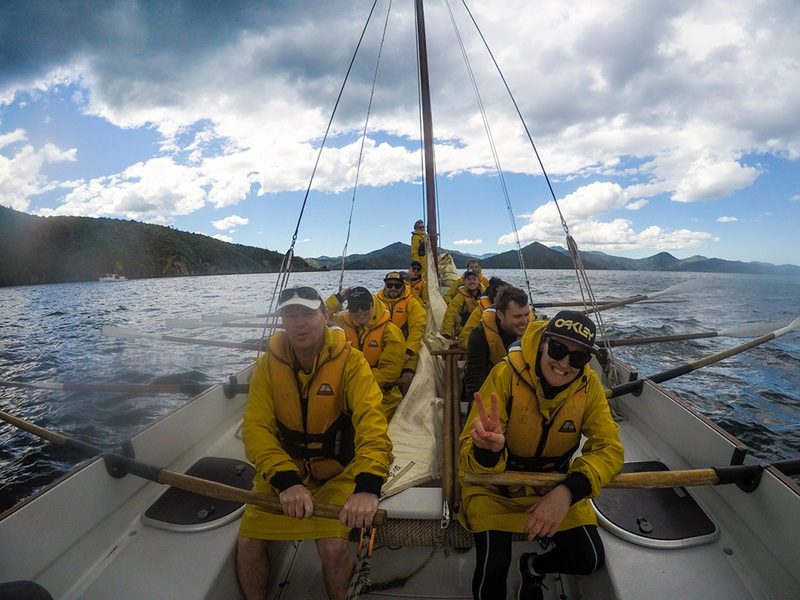 All different ages, from different parts of New Zealand, in different industries with different reasons for being at Outward Bound, and all battling different fears. A 12K trail run that I couldn’t wait for filled one of my teammates with dread, while he completed the same high altitude obstacle course that had me quivering, with his eyes closed. Moral of the story? One person’s demons might be someone else’s strengths. So, let’s help each other out and overcome that Resistance! 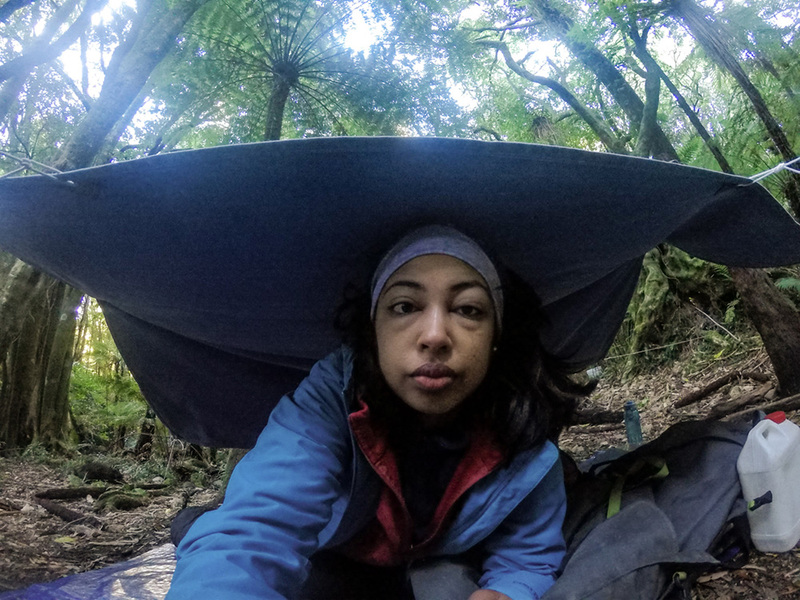 Halfway through the week we were told we’d be spending 24 hours alone in the bush, armed with just a sleeping bag, a canvas shelter, rudimentary knot tying skills and a bag of food. What if I couldn’t get my shelter up in time? What if the Wekas attacked me in search of my food? Or what if, after being bitten by A Mysterious Creature of The Wild (exact cause still unknown) my face remained swollen forever and ever? Irrational fears I knew – and the only way to deal with it was to plough on, remember the goals I had set at the start and the confidence I wanted to build. Every time you step into your challenge zone, your comfort zone becomes a little bigger. Just by being there, mine was growing and I was 100% better off for it. As this was a professional development course, a lot of the learning centered around working better in teams. And not just any old team – the kind of high performing teams that produce exponentially better results. There is no better example of this than learning to sail. Our cutter went nowhere when the oars weren’t in sync, or when no one put their hand up to Captain the boat, but when we banded together, worked out the kinks in our team effort, and communicated effectively, it surged forwards with remarkable speed. This quote by Kurt Hahn, the founder of Outward Bound, resounded so deeply with me that it’s since been imprinted in my mind. Now, I’ll never forget what I can actually accomplish when I set my mind to it. 5 days came to an end far too quickly, but now the real challenge begins. Translating everything I learned and applying it to my professional and personal life, holding myself accountable for the goals I set at the start, and saying bye-bye to my comfort zone at work once and for all. A big thanks to Xero for this incredible opportunity. 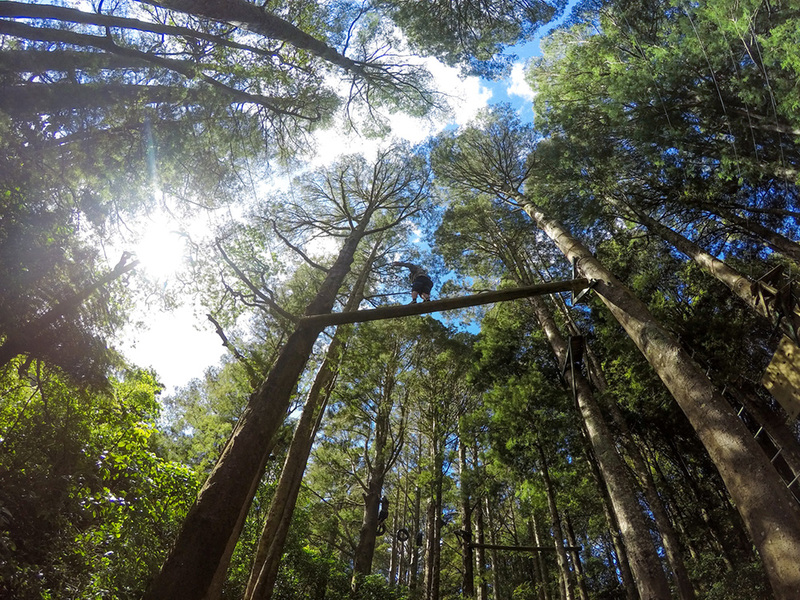 Outward Bound was without a doubt, one of the best experiences of my life. You might even say it was life changing! I encourage everyone to apply for the scholarship when entries open again next year. It’s the best thing you can do for yourself! 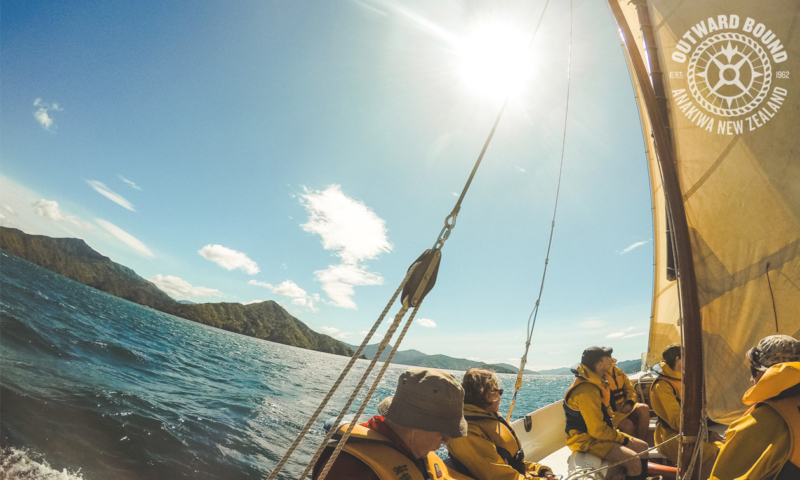 The post Outward Bound Professional: The adventure of a lifetime appeared first on Xero Blog. It’s never been more important for your practice to be aware of prioritising online security and safety, and ensuring everyone in the organisation is adhering to best practice guidelines. This is no longer a ‘nice to have’, it’s a basic necessity of running a business. If we can take anything from the recent news of high profile cases of data theft from the likes of Sony, Microsoft and Yahoo, and the multiple phishing and invoice scams, and account compromises, it is that when it comes to cyber security, businesses need to take practical steps to minimise the risks of being hacked. Typically the reasons businesses have been hacked are directly related to poor security, such as sharing logins or common passwords. Statistics from online security software vendor Norton show that cybercrime costs Australians more than $1.2 billion a year. More than 3.7 million people in Australia have been victims of online crime, and Norton says that the country ranks as the eighth most impacted in the world by ransomware. Australia’s national CERT has also reported that 7,283 cyber-security incidents affected major Australian businesses in the 2016-2017 financial year, with 284 of these incidents involving systems of national interest and critical infrastructure. Keeping your clients and your own sensitive data secure is critical. However, it is difficult to ensure that every single member of your team is using appropriate security procedures (such as not sharing logins or common passwords). To help your practice maintain these secure practices Xero is extending the use of Xero login to Xero Practice Manager and Xero Tax. Additionally, we’ll soon make two-step authentication (2SA) mandatory across our partner products (including Xero HQ) for all Australian practices to comply with an Australian Tax Office mandate. Two-step authentication adds another layer of security for practices and we encourage our accounting and bookkeeping and small business customers to use two-step or multi-factor authentication (2SA/MFA) wherever it is available. This is particularly important for your email account, which is usually the means to hackers being able to reset your passwords for other sites. Two-step authentication is an extra layer of security that requires a password and username and a second unique code to be generated on a second device, making it more difficult for unauthorised people to access your data. While there are no guarantees in security, Xero has never had an account compromise reported for a user with 2SA enabled. The Australian Tax Office (ATO) is introducing a new operational framework for software developers and for accountants and bookkeepers who use software to interact with the ATO. This new framework requires accountants and bookkeepers to use multifactor authentication when they login. This means any staff member of an Australian practice needs to have 2SA implemented in Xero by March 2018 to comply with the ATO Operational Framework. From March, if you don’t have 2SA, you won’t be able to access Xero Practice Manager, Xero Tax or Xero HQ. To get your practice ready for this requirement, Xero will have optional 2SA in Xero for accountants and bookkeepers from late January. You can start to get your practice ready for 2SA now by ensuring everyone in your practice is using a unique login and not sharing passwords. We know there are some practices that use shared logins which will not be supported by the required implementation of 2SA. We understand that this will require these practices to amend their subscriptions. If the practice needs assistance to amend their subscriptions they should email: support@xero.com. Xero takes security seriously and it is important that we are continuously implementing world class security standards and monitoring and detection services. Our customers hold sensitive and personal data on behalf of their clients and keeping everyone’s data secure is a top priority. Therefore we fully support the ATO’s requirement for 2SA on software that interacts with their tax system. It is the right thing to do to help protect client data. 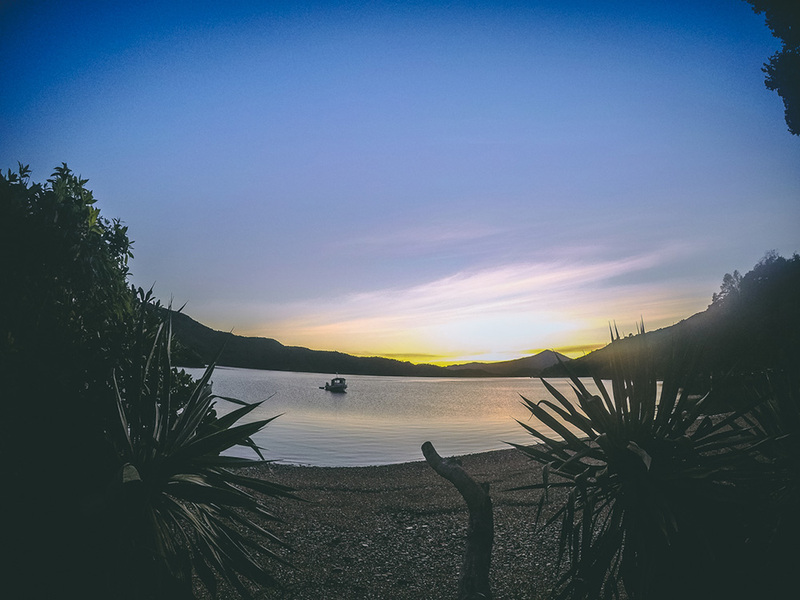 The post Getting your Australian practice ready for 2SA appeared first on Xero Blog. “Capital goes where it’s treated well,” banker Walter Wriston famously said. The Citicorp CEO was talking about money, but in today’s tech industry, it’s human capital that’s most precious. Software developers can afford to be picky, and they’re famously mobile. 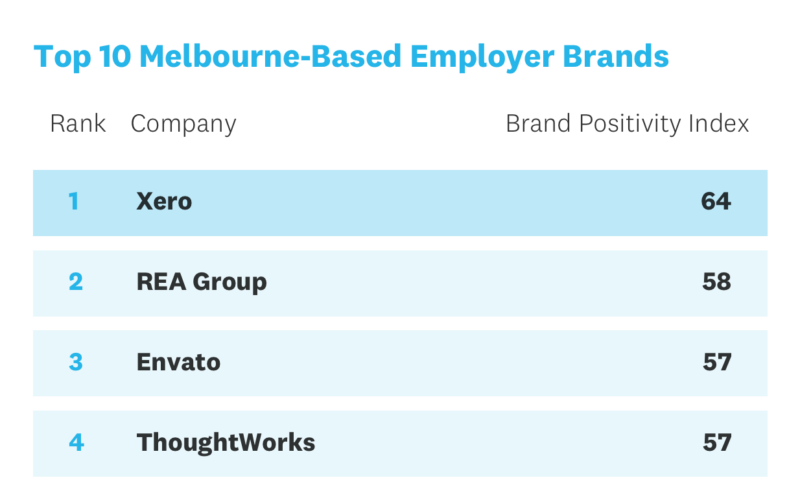 So we’re proud that tech workers have chosen Xero as the most attractive employer in Melbourne, according to a global survey from recruiting platform Hired. Surprisingly, some of the biggest tech brands — Apple, Facebook, Amazon.com — were outranked by smaller companies or are missing from the list entirely. That suggests tech workers are looking for more than just a household name and a high-flying stock price. Many want to develop new skills and join a company with a strong culture that aligns with their values. So what are those values? Compensation is of course a factor. But tech workers in London, Sydney and Melbourne showed the least concern when it came to salary. Flexible working arrangements ranked high on their list. Why enforce a 9-to-5 workday when many employees perform best at different hours of the day? Every new employee at the Melbourne office is issued a laptop and is trusted to do his or her best work whether at a standing desk, in a breakout room or at a cafe a few doors down. It creates a workforce of almost 350 people mixing, sharing ideas and discovering synergies absent when employees are tethered to their desk. Xero constantly encourages employees to learn new skills. In addition to internal learning and development options, Product employees have access to subscription services like Pluralsight (offering unlimited online developer training), AWS training, code clubs, Toastmaster sessions, technical conferences and opportunities to mentor and develop the next generation through community programs like the Tech Girl Movement and Code the Future. In the end, it’s about building cognitively diverse teams that drive innovation and a culture of learning, rather than a culture of knowing where knowledge is transmitted top-down. “We want Xero to be the last place our people ever work,” Xero founder Rod Drury has said. It’s gratifying to see his vision recognised by the Melbourne tech community. The post Xero ranked No. 1 Melbourne tech firm in Hired candidate survey appeared first on Xero Blog. From invoicing to reporting apps, check out the latest additions to Xero’s app marketplace. ConnectBooster is an online portal that allows both you and your customers to easily pay bills, manage payment methods, and setup automatic payment rules. All your transactions run through ConnectBooster will be automatically reconciled in Xero’s accounting software. The Veem connector for Xero is designed for users who are looking for a simple way to pay around the globe. Whether you pay vendors in US dollars or foreign currencies, Veem makes it easy to pay global suppliers for Xero users and accounting professionals. 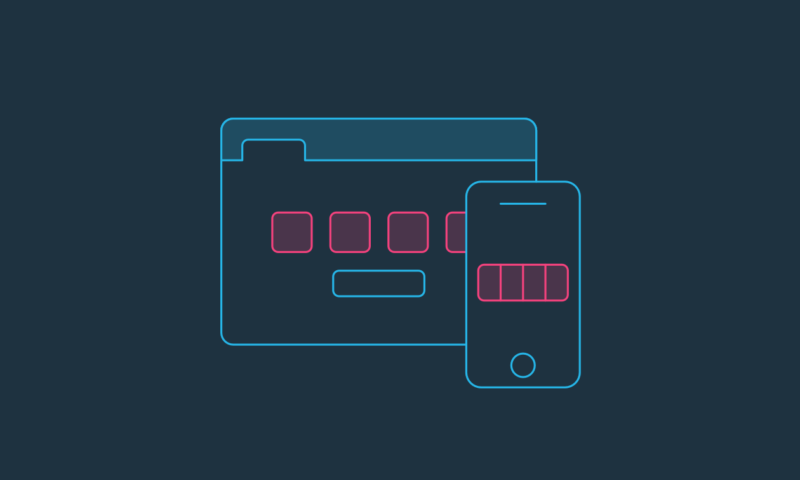 Make invoicing easy with Patchability. It saves you time by building your Xero invoices from the events you log in your Google Calendar. Fluidly is intelligent cashflow. It integrates seamlessly with Xero, instantly setting you on the path to boosting the cash coming into your business. Boost cash coming into your business using smart credit control powered by AI, and forecast and protect your business cashflow. Provamark provides small business owners several tools to build detailed financial analysis of their business or manage a due diligence process with colleagues and other stakeholders. Provamark’s services include: Financial Projections, Business Valuations, Financial Benchmarking, Business Due Diligence, and Business Plans. Prospa are business loans made easy. Xero customers can apply online in less than 2 minutes. There is fast approval for up to $150k of business loans, with no fees or obligations. Payboy is an end-to-end Payroll and Accounting solution that integrates with Xero. It manages your human resource matters like Payroll, Leaves, Claims rosters. Worldpay is a safe and easy way to allow your customers to pay online invoices you send from Xero. With over 300,000 UK business customers ranging from SMEs to household names, Worldpay is the UK’s largest payments provider. Tanda makes it easy to pay staff correctly for the time they work. It now supports an integration with Xero payroll, making setup a breeze with 1 click import of staff into Tanda. No more manually entering timesheets into Xero. Tanda streamlines the payroll process exporting timesheets directly into Xero for payroll. Simply export, review and pay. Key Trends – This new report brings you a unified look into an organisation’s profitability, cash, and equity trends. Cashflow Forecast – The report pulls an organisation’s total cash balance and then shows a short-term cashflow chart. The team at ReportAmigo have also added another of other improvements including, SMS support for Australia, New Zealand, United Kingdom, Canada, and Mexico phone numbers. Check them out here. 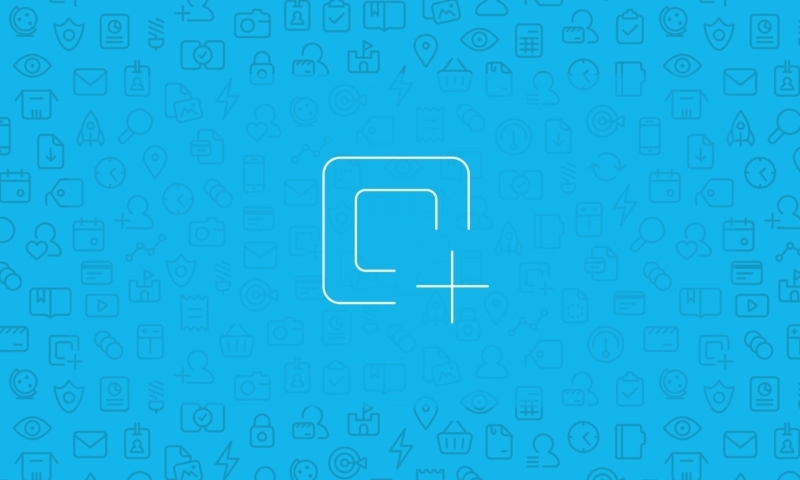 The post Introducing the latest apps to join Xero’s marketplace appeared first on Xero Blog. Head down to our Sydney pop-up store in Circular Quay, from November 29th – December 5th, to meet Lisette in person and try her vegan chocolate for yourself. After struggling to find some vegan chocolate that she actually wanted to devour, Lisette Armstrong decided to make her own. 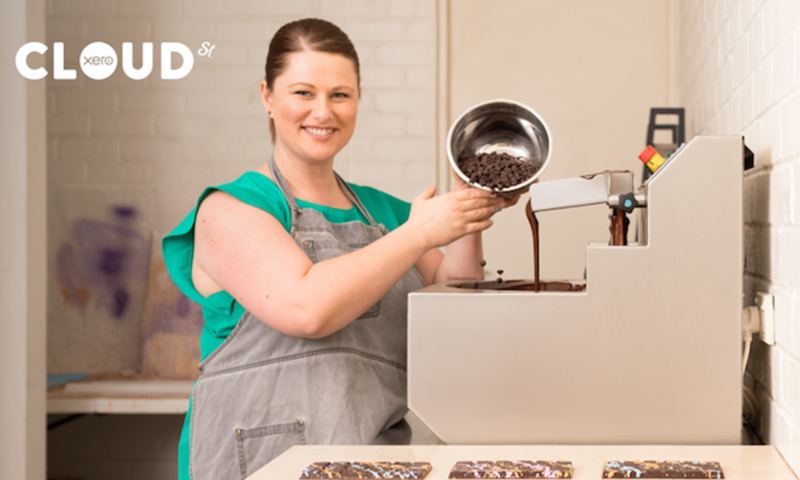 Her chocolate epiphany soon became a hit with her friends and family, so Lisette developed her own side hustle business, Treat Dreams. We chatted to Lisette to find out how she juggles full-time work while running a business. What motivated you to take the risk to start Treat Dreams? It’s the idea of making an amazing product that motivates me. I’ve been really fortunate to see the delight first-hand on a lot of people’s faces when they eat the chocolate. Often their allergies have limited their choice of chocolate over previous years or even decades. In some instances, people have had to give up on chocolate all together. So it’s really cute when they bite into it and their eyes light up. I’m definitely driven by that. How do you split your time between working full-time and managing a business? There was a time there when I worked every day for three months, but that wasn’t sustainable. I would finish my day job, then come home and work all night on the business. I’d walk in the door, get changed, tie my hair back, put the apron on, and off we’d go into another eight hour shift. These days, I get up in the morning and make sure the staff over at the kitchen have got everything they need. Then I head into the office and do a full day there, checking in with the kitchen over my lunch break. When I finish at the office, I head home, check in on how the kitchen’s gone, respond to questions, and catch up with my production manager. But there’s more balance now – it may just be a quick email I send after hours, or business is done over a few drinks at the bar. What helps you stay organised? Cloud tools are really important for me because I simply don’t have an office network or files to work off. Everything has to be cloud-based, so that no matter where I am, I can still run the business. We are definitely a virtual team, so it really is critical for us to be using Xero. Without it, things would be a mess. Why do you enjoy running your own business? I love being able to align my brand with things that I really believe in. Say I wanted to align to a particular charity through my day job – it would have to go through all these approval processes. However, in my business, I can say, for example, that I’m really passionate about marriage equality or sea conservation. I can actually use my brand presence and the labour that we’ve got available to us to get behind causes and help drive and support them beyond just giving them cash. How has your life changed since opening Treat Dreams? I’m more in control of it now. My day job is so different to the business and the change in Treat Dreams is refreshing. Truly one of the things I really love about having my own business is that if I want to do something, then I just go and do it. There’s nothing stopping me. The post Meet Cloud St resident – Lisette Armstrong from Treat Dreams appeared first on Xero Blog.